The following is a report from Mr. David Domet, President of the Toronto Traditional Mass Society - Una Voce Toronto. I have been blessed to attend two recent Masses sponsored by the society. I encourage all Catholics to join, support and pray for this wonderful organization. The Annual General Meeting of the Toronto Traditional Mass Society-UNA VOCE TORONTO was held on Saturday, November 29, 2014 at 9;30 A.M. following the Holy Mass in the Extraordinary Form of the Roman Rite at Holy Family Church, Toronto. 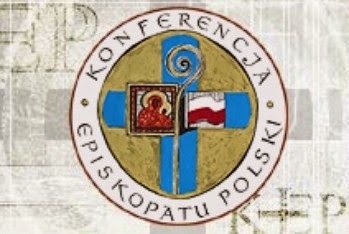 BREAKING NEWS: Report from Warsaw on the Conference, "The Synodal Eathquake", featuring Roberto de Mattei: "you must defend the Faith received in baptism against heresy...the synod....a ceasefire..."
The compass and guide for us simple faithful should always be the sensus fidei. One must defend the faith received in baptism against heresy, both in theory and in practice. We also have an obligation to deepen our faith " appealed Professor Roberto de Mattei during the Warsaw conference, "The Synodal earthquake"
The following is a translation of a report on the Conference,"The Synodal Earthquake", November, 25th at the University of Warsaw. Special guest presenter was the renowned Italian historian, Professor Roberto de Mattei. 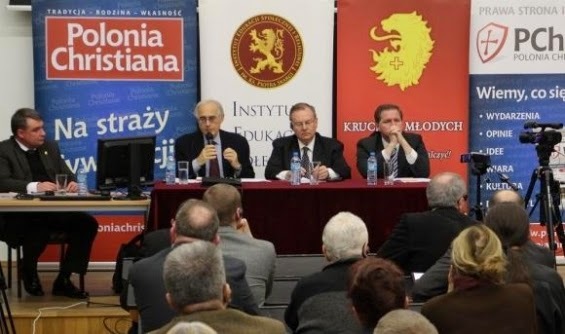 Organized by the Institute of Father Piotr Skarga, the conference was attended by Italian historian and editor-in-chief of "Radici Christiana", Professor Roberto de Mattei, Professor Grzegorz Kucharczyk and Julio Loredo, head of the Italian TFP. The full capacity audience gathered in the Auditorium Maximum of the Warsaw University. The meeting was chaired by Slawomir Skiba, editor-in-chief of the magazine "Polonia Christiana". At the outset, Professor de Mattei outlined the history of the completed sessional work of the Synod of the Family: the starting point was the report of Cardinal Kasper, the rejection - and contained in the Vatican distributed survey responses - by the German, Austrian and Swiss Catholics - of Catholic moral teaching. In the opinion of those who responded there is a need to adapt doctrine to practice. According to Professor. de Mattei, "what has been adopted at the session of the Synod can not be regarded as a victory. This is a temporary ceasefire. The discussion will be continued until the next session next year." "It turns out that the position, let's call it the traditional opinion, is regarded as part of the community, but not the actual teaching of the Church", said the speaker [de Mattei]. In his opinion, "the Synod led to the disclosure of the problem. Until October 2015, we all need to take advantage of the fact that our voices need to begin to be heard. We have to show what they think, how they live and what they believe; those Catholics who defend the family and marriage according to the rights of God". In a later part of the Conference, Julio Loredo spoke. He responded to a number of important questions. The Church is to be a light to the world and the salt of the earth. One must ask, is the Church to take the example of the world, what world would they mean? The world that rejects Catholic principles, promotes abortion and homosexual relationships? The belief that this narrative has something to teach us, leads to a denial of absolute truth and moral. To this world the Church is to give herself ? asked the head of the Italian TFP. With reference to the title of a book by Ralph Wiltgen, "The Rhine flows into the Tiber", it was stated that "Rome is moving towards the Rhine, not to say the Elbe. We are witnessing history in, for which he faced concrete actions and human decisions. " "What happened during the session of the Synod of the Family is a part of a long-term crisis. We deal - similar as at the time of the Second Vatican Council - with a contemporary relapse", pointed out Professor Kucharczyk. The speaker devoted a large part of his presentation to the German influence on theology and spirituality upon the contemporary Church. He opposed strongly the position of Cardinal Walter Kasper, yet prized by Pope Francis, and yet in the books of the German cleric one can identify disconcerting things. "The Church in Germany for about twenty years has remained in schism to the teaching of eternal Rome, and this teaching is the one they are trying to impose", said Professor Kucharczyk. Also, in his speech, Professor Kucharczyk raised questions about what is happening in the Holy See: did Rome not see the hundreds of thousands of demonstrators in France and Spain in defense of the family? Why does it not see the picture of empty churches in Germany? After the end of the panel discussion, the large audience had the opportunity to ask questions of the guests invited to the conference. "The teachings of Jesus Christ are very simple: who leaves his wife, sins. Do you consent to this act as an act of mercy of which is talked so much today? Is there a doctor who would be compassionate in hiding a patient's disease, and not offering decisive action? Mercy is to tell the truth, and not to gain popularity through relativization", said Julio Loredo. To the repeated questions of what should a saddened and concerned Catholic do regarding the Synod, Professor de Mattei said that "our compass, this compass should be our sensus fidei. The faith, received at baptism must be defended against heresy, both in theory and in practice. We also have an obligation to depend our faith. Errors spread when they are not attacked and struck down. If you leave them alone, then they quickly multiply. The Synod missed an opportunity and did not condemn, for example, gender ideology. These uncondemned errors invaded the debate", said the Italian at the Warsaw conference. In his opinion, to questions from the audience Professor Kucharczyk responded: "we are dealing with an attempt to redefine the papacy, the danger of functionalization. It has had an impact on both the abdication of Benedict XVI and the introduction of a new style by Pope Francis." Concluding the conference, editor, Slawomir Skiba, stated, "remember that in our attitudes and statements concerning the Church love and care about Her fate must guide us". UPDATE: [2014-11-28] Video is now available of the entire conference. Pope Francis before the European Parliament denounced grave evils rampant in Europe: abortion, euthanasia, selfishness, materialism.... "Europe.... no longer fertile and vibrant...at the service of unseen empires..."
Pope Francis' address before the European Parliament on the 25th has received distorted coverage in the secular media. and virtually no coverage from "conservative-traditional" Catholics. Strange, very strange. Silence means, in this case, leaving the Stage empty for the enemies of the Church. Sadly, it seems that these enemies also have unexpected allies within the Body of the Church. Nonetheless, I shall not be silent. The Pope's speech deserves wide distribution and reflection. We obviously cannot expect the "official" Catholic press to develop the themes contained within, as they are very uncomfortable for those Catholics who have compromised with the world. Unfortunately, others, perhaps bogged down in "neo-palagianism", now seem to be joining hands in an unholy alliance with the traditional enemies of the Church. To speak of transcendent human dignity thus means appealing to human nature, to our innate capacity to distinguish good from evil, to that “compass” deep within our hearts, which God has impressed upon all creation. Above all, it means regarding human beings not as absolutes, but as beings in relation... In many quarters we encounter a general impression of weariness and aging, of a Europe which is now a “grandmother”, no longer fertile and vibrant. As a result, the great ideas which once inspired Europe seem to have lost their attraction, only to be replaced by the bureaucratic technicalities of its institutions. Together with this, we encounter certain rather selfish lifestyles, marked by an opulence which is no longer sustainable and frequently indifferent to the world around us, and especially to the poorest of the poor. To our dismay we see technical and economic questions dominating political debate, to the detriment of genuine concern for human beings. Men and women risk being reduced to mere cogs in a machine that treats them as items of consumption to be exploited, with the result that – as is so tragically apparent – whenever a human life no longer proves useful for that machine, it is discarded with few qualms, as in the case of the terminally ill, the elderly who are abandoned and uncared for, and children who are killed in the womb. ...One of the most celebrated frescoes of Raphael is found in the Vatican and depicts the so-called “School of Athens”. Plato and Aristotle are in the centre. Plato’s finger is pointed upward, to the world of ideas, to the sky, to heaven as we might say. Aristotle holds his hand out before him, towards the viewer, towards the world, concrete reality. This strikes me as a very apt image of Europe and her history, made up of the constant interplay between heaven and earth, where the sky suggests that openness to the transcendent – to God – which has always distinguished the peoples of Europe, while the earth represents Europe’s practical and concrete ability to confront situations and problems. ...I cannot fail to recall the many instances of injustice and persecution which daily afflict religious minorities, and Christians in particular, in various parts of our world. Communities and individuals today find themselves subjected to barbaric acts of violence: they are evicted from their homes and native lands, sold as slaves, killed, beheaded, crucified or burned alive, under the shameful and complicit silence of so many. ...Keeping democracies alive is a challenge in the present historic moment. The true strength of our democracies – understood as expressions of the political will of the people – must not be allowed to collapse under the pressure of multinational interests which are not universal, which weaken them and turn them into uniform systems of economic power at the service of unseen empires. This is one of the challenges which history sets before you today. ...Likewise, there needs to be a united response to the question of migration. We cannot allow the Mediterranean to become a vast cemetery! The boats landing daily on the shores of Europe are filled with men and women who need acceptance and assistance. The absence of mutual support within the European Union runs the risk of encouraging particularistic solutions to the problem, solutions which fail to take into account the human dignity of immigrants, and thus contribute to slave labour and continuing social tensions. Europe will be able to confront the problems associated with immigration only if it is capable of clearly asserting its own cultural identity and enacting adequate legislation to protect the rights of European citizens and to ensure the acceptance of immigrants. Only if it is capable of adopting fair, courageous and realistic policies which can assist the countries of origin in their own social and political development and in their efforts to resolve internal conflicts – the principal cause of this phenomenon – rather than adopting policies motivated by self-interest, which increase and feed such conflicts. We need to take action against the causes and not only the effects. ...An anonymous second-century author wrote that “Christians are to the world what the soul is to the body”. The function of the soul is to support the body, to be its conscience and its historical memory. A two-thousand-year-old history links Europe and Christianity. It is a history not free of conflicts and errors, but one constantly driven by the desire to work for the good of all. We see this in the beauty of our cities, and even more in the beauty of the many works of charity and constructive cooperation throughout this continent. This history, in large part, must still be written. It is our present and our future. It is our identity. Europe urgently needs to recover its true features in order to grow, as its founders intended, in peace and harmony, since it is not yet free of conflicts. The liturgy of the Church is always true; yet Her liturgy should also be beautiful, for beauty attracts. "We can be sure that whoever sneers at the name [of beauty] as if she were the ornament of a bourgeois past, whether he admits it or not, can no longer pray and soon will no longer be able to love" (Hans Urs von Balthasar). The Mass should then be lived in its integrity... "ite missa est". Catholics departing Mass must strive to live the Mass in their daily lives. Here, in Toronto, the Toronto Traditional Mass Society - Una Voce Toronto has striven to bring beauty to the liturgy. Invited, and against tremendous odds, they managed to organize the liturgy and arrange to provide the music for the Mass that celebrated Msgr. Vincent Foy's 75th Anniversary of Ordination. They deserve your prayers and support. 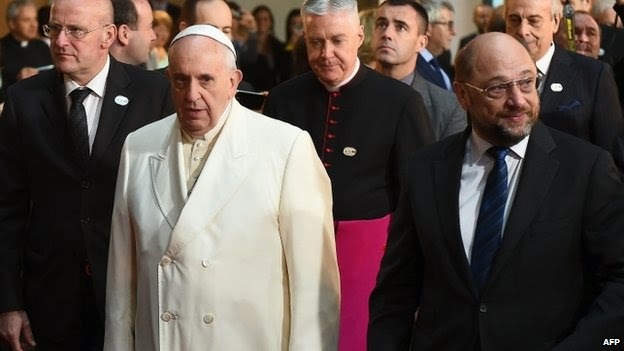 BREAKING NEWS: Pope Francis: "clinics...did abortions then prepared everything to send it to cosmetic factories...makeup made with the blood of innocents"
Vox Cantoris is one of a few blogs that are carrying a shocking speech by His Holiness, Pope Francis to the European bishops. Shocking in its powerful blunt truth about European apostasy. You will not find these words of the Holy Father making it into the mainstream media, or onto "official" Catholic media sites etc. Vox's comments are in red. 24. If We ordain that the whole Catholic world shall revere Christ as King, We shall minister to the need of the present day, and at the same time provide an excellent remedy for the plague which now infects society. We refer to the plague of anti-clericalism, its errors and impious activities. This evil spirit, as you are well aware, Venerable Brethren, has not come into being in one day; it has long lurked beneath the surface. The empire of Christ over all nations was rejected. The right which the Church has from Christ himself, to teach mankind, to make laws, to govern peoples in all that pertains to their eternal salvation, that right was denied. Then gradually the religion of Christ came to be likened to false religions and to be placed ignominiously on the same level with them. It was then put under the power of the state and tolerated more or less at the whim of princes and rulers. Some men went even further, and wished to set up in the place of God's religion a natural religion consisting in some instinctive affection of the heart. There were even some nations who thought they could dispense with God, and that their religion should consist in impiety and the neglect of God. The rebellion of individuals and states against the authority of Christ has produced deplorable consequences. We lamented these in the Encyclical Ubi arcano; we lament them today: the seeds of discord sown far and wide; those bitter enmities and rivalries between nations, which still hinder so much the cause of peace; that insatiable greed which is so often hidden under a pretense of public spirit and patriotism, and gives rise to so many private quarrels; a blind and immoderate selfishness, making men seek nothing but their own comfort and advantage, and measure everything by these; no peace in the home, because men have forgotten or neglect their duty; the unity and stability of the family undermined; society in a word, shaken to its foundations and on the way to ruin. We firmly hope, however, that the feast of the Kingship of Christ, which in future will be yearly observed, may hasten the return of society to our loving Savior. It would be the duty of Catholics to do all they can to bring about this happy result. Many of these, however, have neither the station in society nor the authority which should belong to those who bear the torch of truth. This state of things may perhaps be attributed to a certain slowness and timidity in good people, who are reluctant to engage in conflict or oppose but a weak resistance; thus the enemies of the Church become bolder in their attacks. 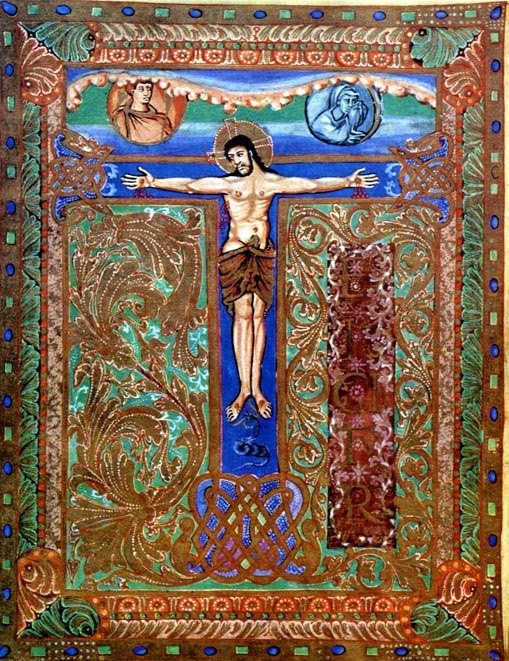 But if the faithful were generally to understand that it behooves them ever to fight courageously under the banner of Christ their King, then, fired with apostolic zeal, they would strive to win over to their Lord those hearts that are bitter and estranged from him, and would valiantly defend his rights. The sexual perverting of the innocent is a grave spiritual crime. Premier Wynne, elected by many a Catholic-behaving-badly is now ready to foist upon Ontario children the same and enhanced version of that curriculum. There is a petition here organised by Teresa Pierre of PAFE, Parents As First Educators. The Catholic Church is right about sexual morality. Of all the perversions, none are worse than those which affect children. These crimes cry out to God for justice and those who participate in them, especially if they be Catholic clergy such as Raymond Lahey and many others, have committed grave crimes against the children and against the God. As our Lord tell us in the Gospel of Luke; "It were better for him that a millstone were hanged about his neck, and he be cast into the sea, than that he should scandalise one of these little ones." One crime of this nature by any Catholic cleric is too many; but when that happens the Church is mocked and crucified by those who perpetuate it themselves. When God gives someone the ability to be a His minister or a civil leader or an educator the culpability for these crimes is severe. The gift of leadership is from God, it is either used for the betterment of His people or for personal gain; God will not be mocked. We, as Catholics are disgusted when these crimes are committed and covered up by those who serve Christ and His Church. One is too many, but make no mistake; those who commit these heinous crimes outside the Church are in greater numbers and ever increasing, thanks to the Internet. Archbishop Gadecki's Blog on the Synod of the Family ~ many fathers said relatio "devoid of a solid foundation in Scripture and the Magisterium..."
Most English speaking Catholics are unaware that the Metropolitan Archbishop of Poznan, His Grace Stanislaw Gadecki has provided us copious observations of the Synod as it evolved. It is in Polish (but for non Polish readers, you can experiment with various translation aides, that will give you the gist of things). He documented many points of intervention by various Church father and provided us with detailed commentary on the relatio (which contained many numerous doctrinal and theological errors); as well as guided us through the post-relatio week, where so many Church fathers strove to correct the errors so as to make the final document better correspond to Catholic doctrine. During the week following the release of the scandalous relatio, the Archbishop documents the very strong criticism of the document on various levels: avoidance of the Magisterium, avoidance of sin, a false gradualness, seeking good in the intrinsically evil, and so on. A betrayal of the previous Synod on the Family, a turning away from Pope John Paul II and Familiaris Consortio, a refusal to draw from previous Church teachings, a refusal to accept Our Lord's words: Yes, yes - no, no". Preeminent in denouncing these evils was Cardinal Pell. The Archbishop wrote very strongly against the "ecumenical analogy" (subsitit in) of trying to compare elements of holiness to intrinsically evil relationships, which the Homosexualist and Adulterist Parties are trying to compare. On homosexuality, the Archbishop is emphatic: homosexual relationships cannot be accepted, not even so-called civil unions. He condemned the financial blackmail being used by powerful western forces to forces so-called civil unions of poor countries who are striving to uphold the Gospels. On Holy Communion for the divorced and civilly remarried, the Archbishop is firm: this is not sacramental, there is only one marriage, the irregular situation is "evil". They cannot receive Holy Communion. Again, the Adulterist Party proposed a false gradualness, avoided "sin", and departed from Church doctrine and the Gospel. The fight is not local, it is global, it is a fight about "changing the teaching of the Church". Surrender on one point, will mean eventual surrender on all points of morality and doctrine. This raises an issue of surrender recently here in Canada. Archbishop Martin Currie of Newfoundland following the release of the un-Catholic relatio, called for recognition of these intrinsically evil homosexual civil unions. 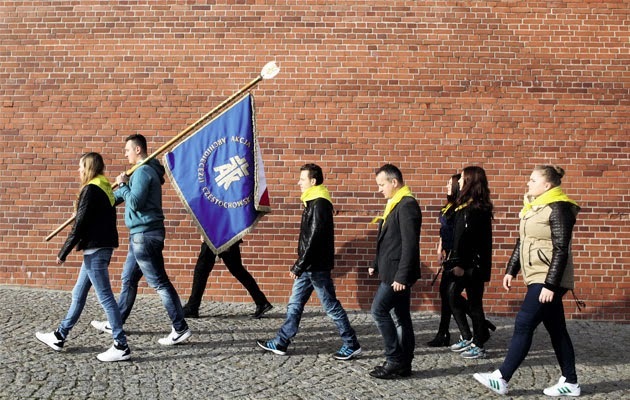 Now, he contradicts Archbishop Gadecki, who claims such unions are evil and are to be inadmissible by the State. One of these two men is wrong, one of them is a traitor to the Gospels, to Our Lord and to His Church. 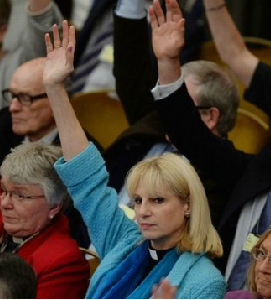 Anglican bimbo voting for "bishopesses"
The apostate Church of England, from which the waters of life have long since vanished, as from a broken cistern, has now formally voted to commence with "bishopesses". If this were not tragic enough, let us recall the delusional and irenicist gathering just over a week ago in St. James' Anglican Cathedral in Toronto between Catholics and Anglicans. You will notice that the voters in favour of this act of apostasy are elderly, wealthy white individuals. The only hope for Anglicans is the Ordinariate, lovingly gifted to Christ's Church by the Holy Spirit, through the Apostolic hands of Pope Benedict XVI. Vox Cantoris has written powerfully on this foolish gathering, and the clerical forces behind it. Touching was also the testimony of an anonymous person who contacted this blog via the combox. Please pray for the conversion of England. African priest: Africa opposes homosexuality not because it is "taboo", but because it is "repugnant to right reason...God's intention"
In my country, Kenya, which is probably the second most secularized country in Africa (after South Africa), the media is awash with debates on the possibilities of legally recognizing homosexual associations. Of course, the homosexual activism is being funded by similar groups in North America and Europe. Some of our people have been made to believe that this is what progress means, but fortunately the public mood is still opposed to the homosexual agenda. We in Africa have no apologies to make to anyone about this attitude—not because it is a taboo, as Kasper would put it, but because homosexuality is repugnant to right reason and contrary to God’s intention for human sexuality. I do not underestimate the sufferings of people who have found themselves with homosexual orientation (whether acquired by nurture or of biological origin), especially when they want to remain faithful to the Gospel of Christ received through the Church. We do not help them by denying their cross. We deny their cross by falsely purporting that their orientation is not a disorder. We deny their cross by falsifying the eternal truth about marriage as ordained by God and written in the book of nature, so as not to “hurt” the feelings of our brothers and sisters living with this orientation. When we deny their cross, we blind them with an illusory contentment that only frustrates them because in the depth of their being, they know that they are being lied to or they are lying to themselves. On the contrary, when we charitably acknowledge their cross we fill them with a courageous hope that earnestly looks forward to the deliverance of God. Their sufferings become redemptive. Today - sadly - the repulsive Santa Claus Parade will be staged in Toronto. The materialists will claim that it is the "start" of the "Christmas" season; usually they prefer the word: "holiday". And so the modern day Bacchus will be the highlight of the start of about 5 weeks or so of pure materialism, ending strictly on the 25th of December. Christmas is over, so we are told by the materialists. Let us not be fooled. If it were not for presents, Christmas would have been dead and buried from the public eye, just as "they" have buried Easter. Notice, that during Easter, not only is Our Lord not mentioned, but if He is, He is attacked and/or His Church ridiculed. But I digress. Back to the issue at hand. We are told that "getting ready for Christmas" (opps, the "holidays") means buying so-called presents etc.It means repugnant winter "songs", a few may have some vague reference to what took place 2000 some odd years ago, but only in the off chance. Jesus is definitely persona non grata at his birthday. Not content with blaspheming Our Lord; for whatever detracts from Him, whatever removes Him from His rightful place - and does not this rotund demon do so? - is blasphemy; the perverters of Christmas have also corrupted the lovable, yet stridently orthodox St. Nicholas; turning our saint from a bishop who used physical force against the heretic Arius, into a bloated buffoon, an advertisement for Coca Cola (having abandoned his priesthood on the way and contracting an illicit marriage). It is not for without reason that it has been pointed out that the name "Santa" with a move of a single letter becomes "Satan". BREAKING NEWS: Archbishop Gadecki: the giving of Holy Communion to adulterers is an "attack on marriage.... "
"You must remember - he added - that the Lord Jesus was merciful to those who repent, and sharply admonished those who were not going to repent." 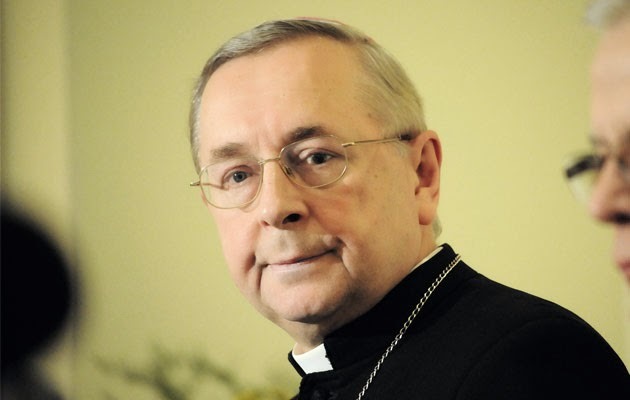 His Grace, Archbishop Stanislaw Gadecki of Pozan, President of the Polish Bishop's Conference, has once again spoken out against the proposal of the Adulterist Party of giving Holy Communion to the divorced and civilly "remarried". "Niedziela", carries an extensive analysis of a recent press conference. The Archbishop called this proposal "an attack on marriage", that it would also mean a redefining of the sacraments of Penance and the Holy Eucharist. Gadecki also pointed out that discussing such an issue is inadmissible as a theological topic, as Catholic theology is based on the Gospel of Christ: the prohibition of adultery. In other words, it is a settled issue, there is nothing to discuss. There is no possibility of granting absolution to an adulterer in an active new relationship, and permitting this person to receive Communion. The Archbishop also noted that so-called exceptions to the rule quickly become the new rule. Hence, those who propose this solution are just trying to fudge Catholics on winking at wide open acceptance of adultery. The Archbishop was also critical of fathers who suggested at the Synod to undermine the tribunal process of annulments and move them into a mere administrative setting. Regarding transparency at the Synod, Gadecki noted that Fr. Frederico Lombardi, of the Holy See Press Office only invited certain bishops to press conferences, otherwise providing his own synthesis. The mid-term relatio was drafted in a certain direction, to give the (false) impression that this is where the direction was actually going. In actual fact, the rebellion and discussion of the second week showed the mid-term relatio to be false. Anglican - Catholic ecumenical "dialogue" at St. James' Cathedral in Toronto, was "diabolical". This is the first time that I have ever produced a post consisting of a comment in the combox. However, it is so important, I believe it needs to be told. Readers may be aware of my strong criticism of the so-called Anglican-Catholic dialogue. Having an English Catholic mother, whose mother was an Anglican, I am well aware of Anglicanism. I am 34, and was (the youngest person) in attendance at the event and the reception afterwards. There are two words to describe what went on that night: diabolical disorientation. I am very very familiar with the inner workings of these committees and and the people on them, both bishops and "bishopettes". Those on the Roman side involved with this "dialogue" are syncretists of the first order. It is very interesting to note that the ordinary of the Personal Ordinariate of the Chair of St. Peter was sitting in the congregation and the EXISTENCE of the ordinariates - the most healthy and faithful fruit of the ecumenical dialogue - was not even mentioned, and I did overhear some people mocking the ordinariate at the reception. UPDATE: [2014-11-15] Further commentary on this "ecumenical dialogue" may be read at Vox Cantoris. His Excellency, the Chaldean Bishop from Syria, Aleppo Antoine Audo was the guest of the Polish Bishop's Conference from the 6th - 9th of November, to mark the 6th International Day of Solidarity with the Persecuted Church (Nov.9th). His Excellency gave the following talk in Warsaw, as a guest of H.E. Artur Minski. The bishop speaks in English.... please watch and learn about the tragedy taking place with a silent world watching. Sadly, tragically, "western" Episcopates are disgracing themselves with silence. What did your bishop say on November 9th? Were you even aware of the International Day of Solidarity with the Persecuted Church? One can understand why the media, the newspapers, the secular institutions, the governments, et. are silent. They hate Christianity, and are glad to see it suffer. There is no worse persecutor of the Church than an apostate - witness the savagery of the French Revolution against the Church. Prior to watching the video, please remember Asia Bibi, the young Pakistani women under a death sentence for expressing her Catholicism. The Pakistani situation is extremely grave, as exemplified by last weeks' sadistic torture and murder of Christian parents by a rag-tag mob of Muslims, urged on by their Imam. Hatred for Christianity is deeply rooted. Please pray for for the safety of Christians in Pakistan. And please raise these issues - lest we too be condemned for silence, and de facto collusion. It is hard to believe that anyone could claim there be an analogy between separated Christian brethren, and those living an intrinsically evil lifestyle. Yet, Fr. Thomas Rosica, CSB, in an address to the US bishops, claims that bishops at the Synod drew such an analogy between sins of an "irregular" nature, (presumably e.g., homosexuality and adultery) per their falling short of holy matrimony, and the Catholic Church and - let us say - eastern Orthodoxy. This blog has already raised serious questions about the Holy See Press Office being a mouthpiece for the Adulterist and Homosexualist Parties within the Church. What possible element of goodness found in a practicing homosexual's or adulterer's "irregular" (this actually means sin) lifestyle is in spite of, not because of the evil relationship. The adulterer may well perform good deeds, but the relationship will always and everywhere be intrinsically evil. There is no good in adultery, nor in homosexuality. Indeed, we are aware of the "mid-term report" - it contained references to '"irregular" situations' that were truly evil. How can one possibly suggest that good can be found in the evil of the practice of homosexuality, or adultery? These outrageous panderings to grave evils, have been rightly denounced by Bishop Athanasius Schneider as a "neopagan ideology". The only "presence of God" in these situations is a call to repentance. IMPORTANT UPDATE: [2014-11-14] Vox Cantoris carries important information from Fr. Paul Check of Courage on the Homosexualist Party's manipulation of the Synod. His account runs counter to that of Fr. Rosica, or the claims made by Alicia Ambrosio (an employee of Salt and Light TV, run by CEO Rosica) on the Agenda and Vatican Connections. Recently, Rosica has addressed the issue of what he calls an "irregular" family. An analysis of this can be read here. In this instance, it was the Holy Family!! Just as Vatican II taught that elements of truth and holiness can be found outside the Catholic Church, in other Christian denominations and even in other religions, some members of the recent Extraordinary Synod of Bishops suggested once again that elements of truth, goodness and even holiness may be detected and even found in some imperfect yet very real situations of daily life: situations that fall far short of the ideals of the sacred institution of Catholic marriage. I am sure you know of the intense debates that followed the first, mid-term report of what happened in the Synod Aula! Numerous Synod fathers questioned the validity of the analogy of “subsistit in” in relation to sacramental marriage and those living in “irregular” situations. Nevertheless, no one can deny the dynamic conversations that took place among us at the Synod as we sought to find a vocabulary and expression to name the new situations of our time and find the presence of God in them. The full talk can be read here. The Italian bishops conference, meeting in Assisi, has strongly rejected the concept of "homosexual marriages". The following is a translation from the Polish language, Catholic news agency, Radio Maryja (hat tip: Vox Cantoris, who has posted on another major defeat for the Homosexualist Party). The Italian Bishops' Episcopate(Conference) is strongly opposed to a formal recognition of so-called "homosexual marriages", stated a journalist. In Assisi, are ongoing discussion of the Italian bishops. The head of the episcopate, Antonio Cardinal Bagnasco said that "the creation of new forms of unions are an irresponsible weakening of the institution of the family... it is an attempt to undermine the social and cultural values of marriage. The purpose of these activities is to disorientate society", said the Cardinal. 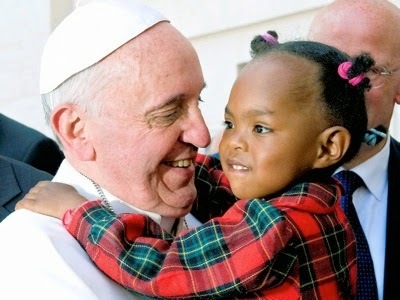 Referring to the adoption of children by homosexuals, the President head of the Italian Episcopate stated that the child is not a "commodity" to satisfy the feelings of adults, but has the right to both father and mother. The position of the Italian bishops is in accordance with reason, logic and natural law, underscores Dr. Hanna Wujkowska. The bioethicist said that attempts to legalize gay-unions and adoption by children is a big threat. This type of situation will lead to the destruction of humanity. We know that social development is possible only if we can reproduce, transmit life. In this way, it is natural, good and beautiful. In contrast, these aberrations, that we are talking about, are the destructive of people. These attempts of putting children up for adoption does not solve the situation - on the contrary, because these children unfortunately are going into very bad conditions, they are demoralized, objectively treated as things to meet the whims of people who do not understand exactly what they are; because they are come out against nature, they pay homage to their whims. They are acting against reason, against nature, said Hanna Wujkowska. Before the Italian administrative court is a pending case brought by the leftist mayor of Rome, who contrary to the law, has registered over a dozen homosexual unions from abroad. This move has sparked public opposition.